The world-premiere exhibition Between Two Worlds | Escher X nendo is coming to the National Gallery of Victoria this summer. Featuring more than 160 extraordinary prints and drawings by Dutch artist M.C. Escher, presented in an immersive environment created by acclaimed Japanese design studio nendo, this exhibition intertwines the worlds of both artist and designer in a masterful and enigmatic visual presentation. 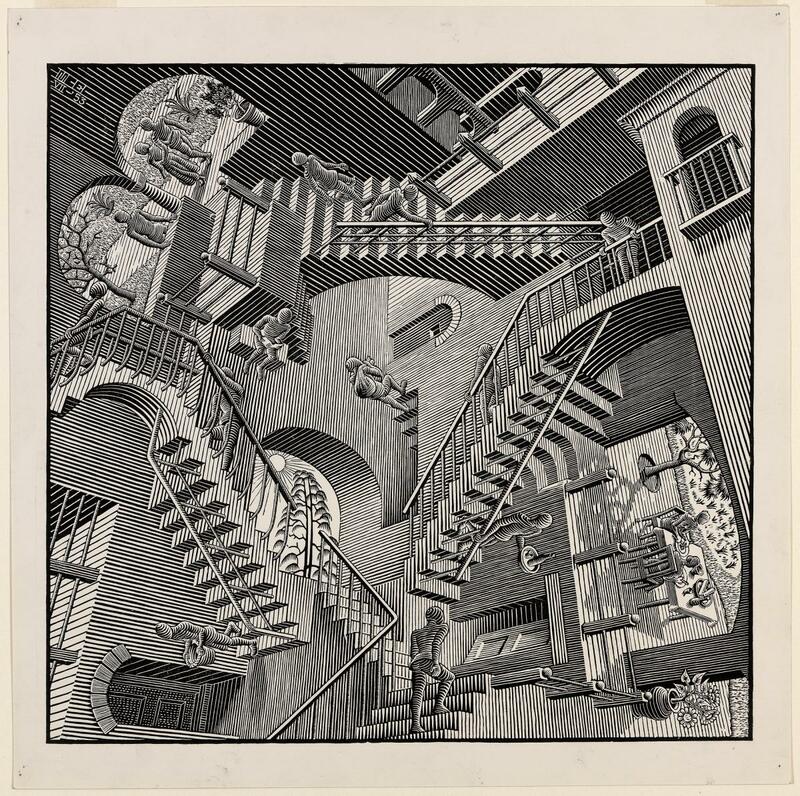 Celebrated as a master of optical illusion, Escher created some of the most iconic images of the twentieth century. Drawn from the world’s largest collection of Escher’s work in the Gemeentemuseum in The Hague, this expansive exhibition is the first major Australian presentation of the artist’s work and will cover the full span of the artist’s career, from 1916 through to his final work produced in 1969. Through the ingenious manipulation of geometry, space and perception, nendo’s never-before-seen exhibition design will transcend tradition and present Escher’s work in new and surprising contexts. Between Two Worlds | Escher X nendo will be on display at NGV International from 2 December 2018 to 7 April 2019.